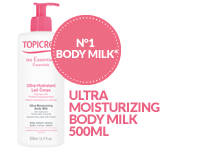 An unctuous emulsion, enriched with moisturizing (urea , glycerin ), protector and lipid replenishing agents, ULTRA-MOISTURIZING BODY MILK provides 24 hours effectiveness and eliminates all signs of dry skin. Particularly suitable for dry and/or dehydrated skin (by cold, by sun…), as well as children’s fragile skin. Paraben free. High safety standards : formula developed for babies and children, tested under pediatric control, paraben free. 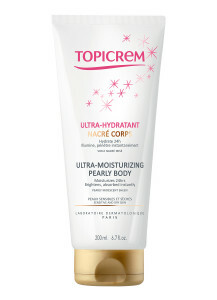 High moisturizing effectiveness: 24 hour hydration guaranteed + remanent effect. Practical and rapid penetration; non sticky and non greasy milky texture, pleasant smell, allows to get dressed rapidly. 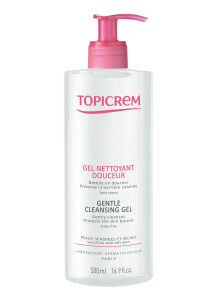 Apply 1 to 2 times a day to the body after previously cleansing with Gentle Cleansing Gel Body & Hair.